Hi there! Welcome to the June Beauty Awards – a.k.a. my monthly favourites post. 🙂 I’ve chosen my top 3 from all the products I’ve reviewed this month. And there are a few honourable mentions as well. Let’s start with the top 3! 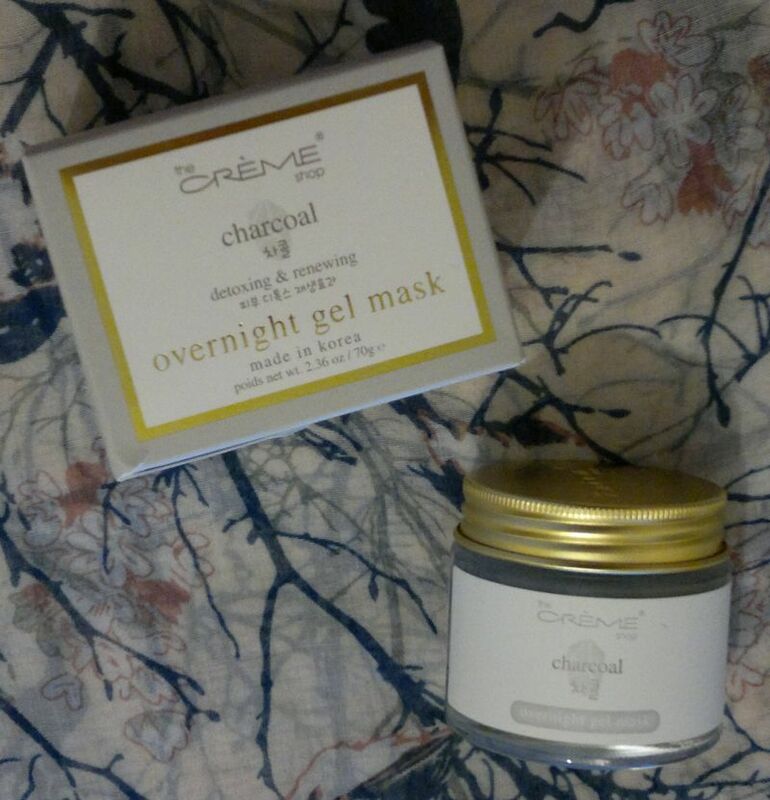 The Crème Shop’s Charcoal Overnight Gel Mask is awesome fun. 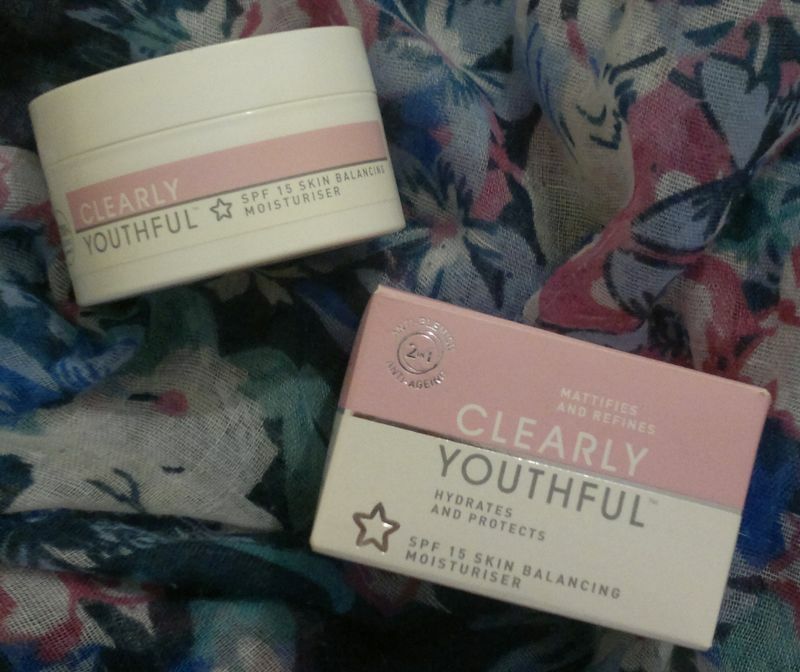 I’m really enjoying the product, and I can’t wait to try The Crème Shop’s Rose and Collagen gel masks. Imperial Leather’s Foamy Banana products are simply sensational. I love the shower gel, the bath cream and the hand wash. Awesome stuff! Superdrug did an amazing job with this facial spritz. I have very dry skin and I suffer from occasional bouts of eczema, but my my skin is also quite moody, and it’s prone to impurities. This facial spray helps me because, thanks to its high glycerin content, it helps lock in moisture which allows me to stay on top of my eczema patches. My skin hasn’t been moody for a few weeks, so I’m satisfied that this spray soothes my skin. On top of that, I’ve noticed that blemishes come and go faster than usual. I’m used to dealing with blemishes for weeks at a time. Seeing them heal within a few days is a very welcome change! Onto the honourable mentions! The Crème Shop’s Charcoal Face Mask is really good. I’m enjoying my pack of 5 charcoal face masks very much. Superdrug’s Charcoal Whitening Toothpaste is my new favourite toothpaste. I love it, and hope it won’t be discontinued! MUA Luxe Utopia 10 Shade Eye Palette is one of my favourite products this month. This is a quality palette – and it was dirt cheap! Have you tried any of these products? Would you like to try any of these products? Which products do / did you love the most this month? Feel free to comment. And thanks for stopping by! Hi there! Today’s post is about a mani I did not too long ago. 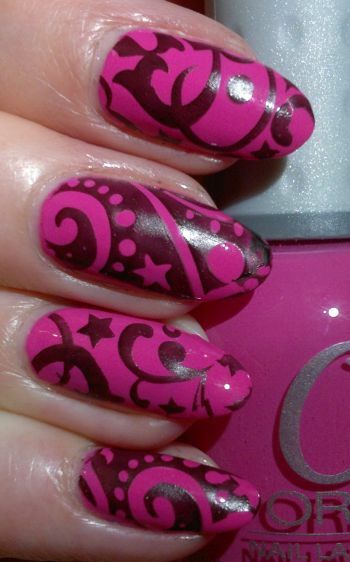 For this mani I painted my nails with Revlon 510 Sassy (2 coats). I don’t love this colour at all, but I’m happy with the quality of the polish which was applied easily and dried quickly. I stamped with 2 new stamping plates – Pueen‘s 109 and 114 plates (which are part of Pueen‘s super cute Make Your Day stamping collection). 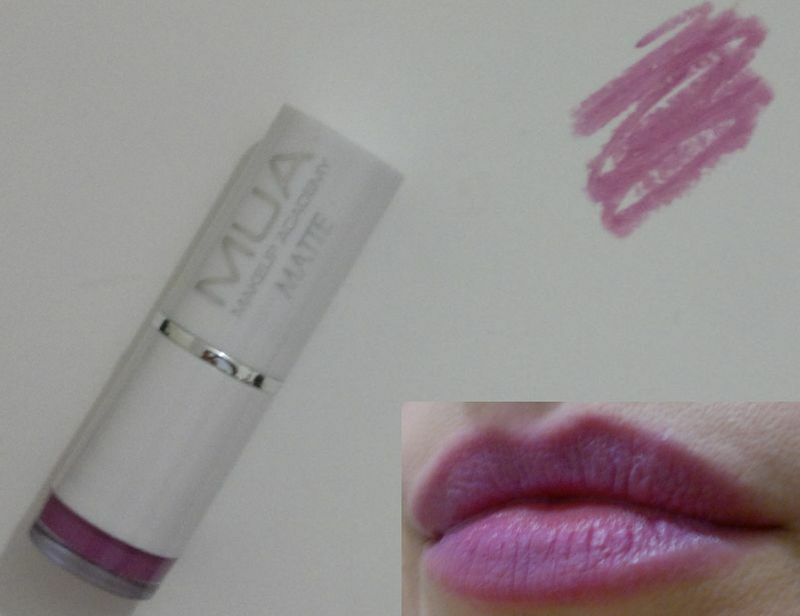 MUA’s matte lippies are probably the worst matte lippies out there. I’ve read a few positive reviews (? ), but I can only guess the reviewers never had a decent matte lippie to compare MUA’s offerings with. Or they never actually tried the lippie. Or they found it rubbishy too, but didn’t want to be negative because they got the lippie for free. Who knows? Now why is this lipstick so horrible? Well, this lipstick is very waxy. It’s almost impossible to apply it properly, it’s poorly pigmented and it’s drying. And because it’s so difficult to apply, my lippie broke off the first time I’ve used it. Rubbish! This stuff scared me! I tried it, I got scared, then I binned the product! I thought of giving the product away – but I didn’t want anyone else to be scared by this truly binworthy product. Superdrug’s Simply Pure toner for sensitive skin isn’t very effective. As if this weren’t enough, this toner gave me an unpleasant skin reaction. I’m now using it to clean my nail art stampers! 🙂 I Love…’s Cherry Almond Sparkle smells like bread. Not a great fragrance, eh? 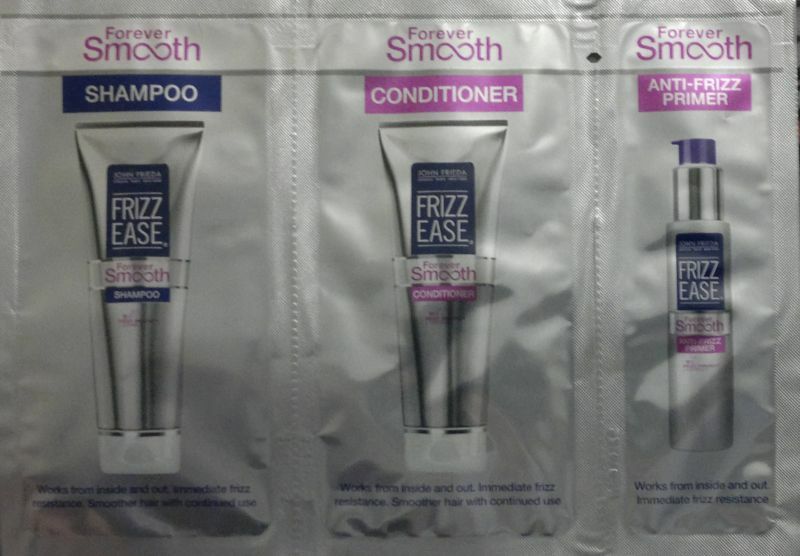 I’ve never used John Frieda hair products before – and thanks to these samples I can safely say that I won’t be using John Frieda hair products again. Complete rubbish! I can make this one short – these 3 moisturisers didn’t smell great at all. And Pacifica’s Indian Coconut Body Butter is the worst smell I’ve ever came across in a moisturiser. 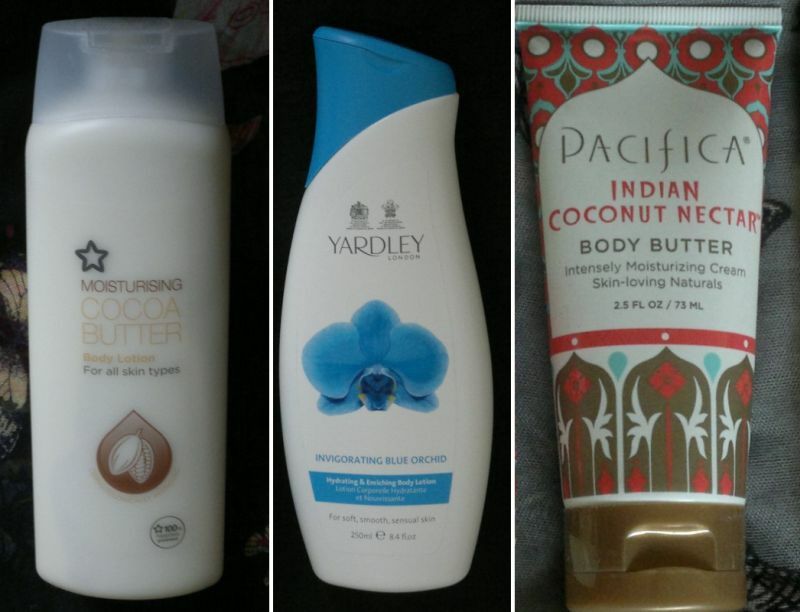 These 3 products were used as foot lotions. It’s impossible to apply this cream without causing it to ball up. The only way to use the product at all is to use it as a targeted treatment. But again, you can’t rub it into your skin. Major fail! The shampoo wasn’t completely horrible. However, the conditioner was rubbish. 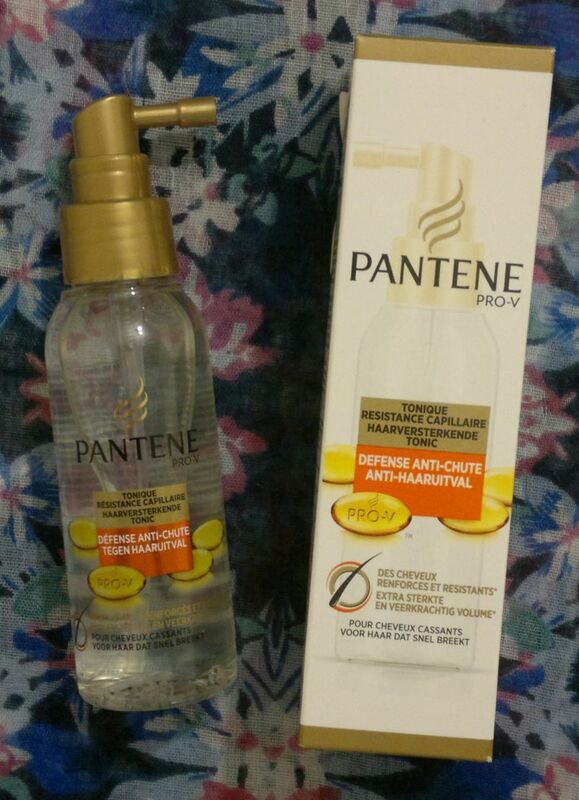 It failed to detangle my hair, and it didn’t feel conditioning at all. As if this weren’t enough, the conditioner also flattened my hair. 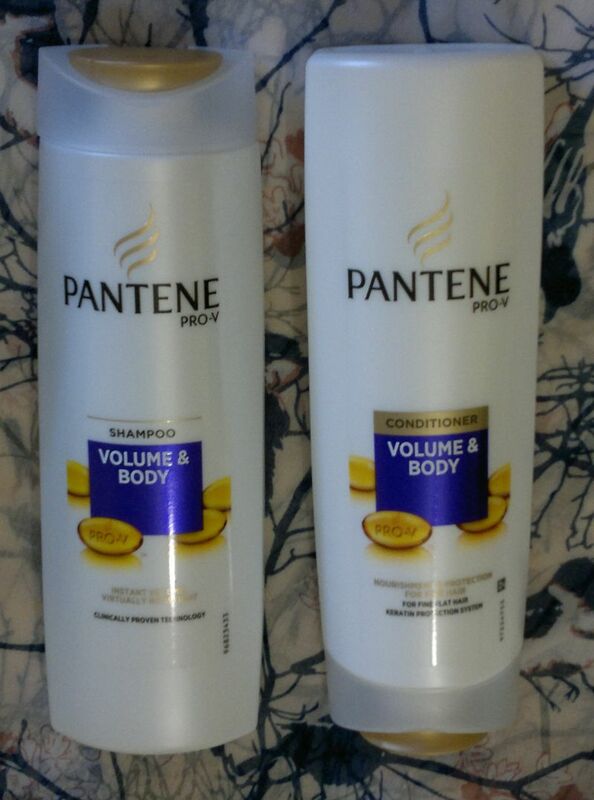 Bye-bye Pantene Volume & Body hair products. You won’t be missed! Have you tried any of these products? Which products have you hated recently? Feel free to get in touch via the comments. And thanks for stopping by! Superdrug‘s Charcoal Whitening Toothpaste promises to help remove stains. It also claims to provide maximum fluoride protection for healthy gums and teeth. How’s the toothpaste? I think it’s pretty awesome! In terms of stain removal, this one’s definitely a lot more effective than Colgate’s premium products. I also like the fresh minty taste, and brushing my teeth with a black toothpaste is awesome fun! XOC‘s Cleansing Charcoal Toothpaste makes the same claims. However, this toothpaste isn’t great. Now that I’ve finished the tube I can say for sure that this one doesn’t prevent stains, and it’s not effective at removing stains. I’ve had better results from using kids’ toothpastes. I also don’t like the weird hospital soap flavour. It’s very unusual. I’ve gone through an entire tube of each toothpaste, and based on that I’m satisfied that Superdrug managed to make an awesome product whilst XOC did not. If Superdrug continues to make this toothpaste, I have no reason to go back to Colgate. I’m happy I tried XOC’s toothpaste, but I won’t be buying it again. If you’re interested, Superdrug‘s Charcoal Whitening Toothpaste (which also happens to be cruelty-free) is available as 75ml for £2.99. I stocked up a few weeks ago when Superdrug ran a Buy 1 Get 1 Free promotion. 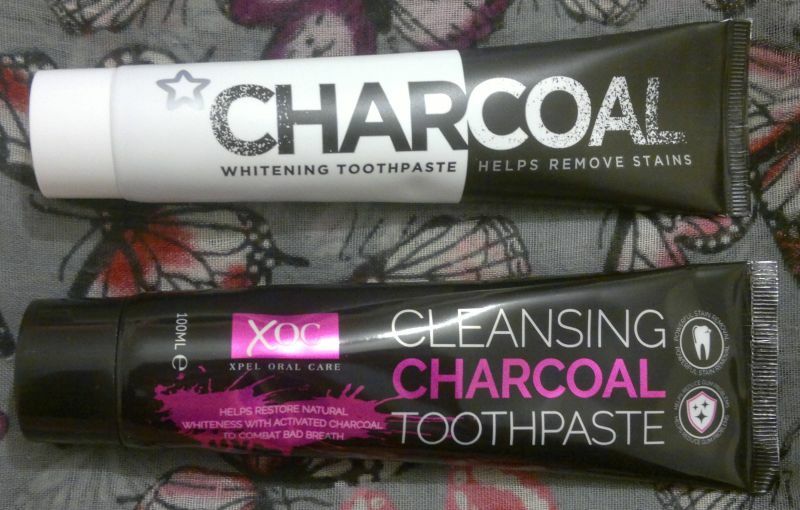 XOC‘s Cleansing Charcoal Toothpaste is available as 100ml for 99p (B&M Bargains). Hi there! 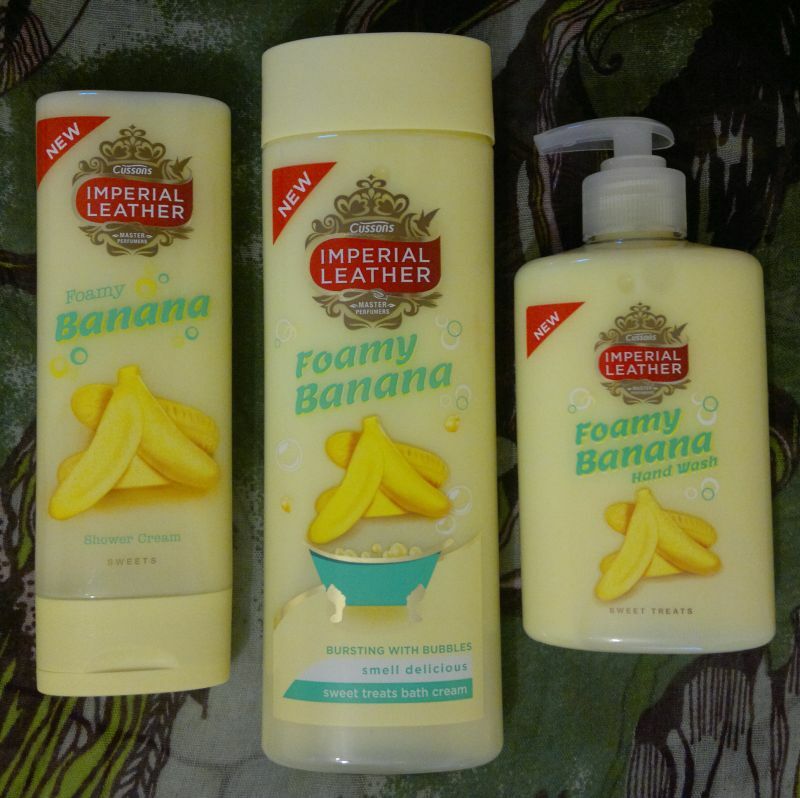 Today’s post is about Imperial Leather‘s Foamy Banana products. At the moment Imperial Leather offers a shower cream, a bath cream, and a hand wash! And I think these products are 100% awesome! Imperial Leather‘s Foamy Banana Shower Cream (250ml) is one of my favourite shower products. It’s happiness in a bottle. The fragrance is 100% foamy banana, but it’s not overly sweet. This is the perfect shower gel to start the day with. 11 stars! Imperial Leather‘s Foamy Banana Bath Cream (500ml) is just as awsome as the shower cream. I love the non-drying formula and the insanely gorgeous fragrance. This is the perfect bath treat before bed time. 11 stars! Imperial Leather‘s Foamy Banana Hand Wash (300ml) is one of the 2 best hand washes ever (the other one’s Carex’s Bubble Gum hand wash). It’s a real treat for hands! 11 stars! I would recommend Imperial Leather’s Foamy Banana products to everyone! I’ve gone through multiple hand washes over the past year (or so), but I’ve only recently tried the shower gel and the bath cream (which I picked up for £1 each), and I feel like an idiot for not trying them sooner. 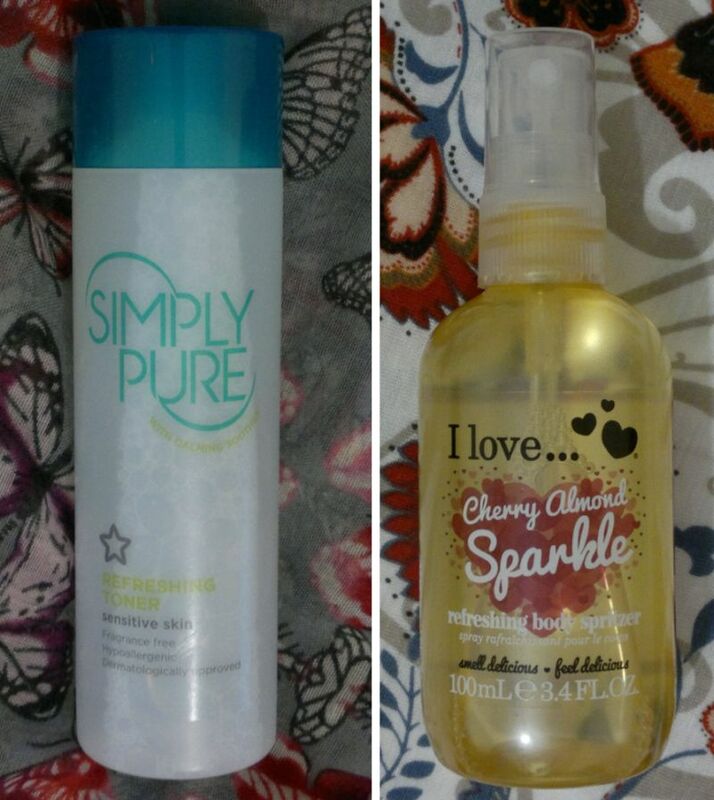 So… if you’re not already in love with these products, you need to try them asap! Hi there! Today’s post is not just a Nail Of The Day post. It’s also the last post for this week which means that Nail Week has come to an end. Anyhoo… for this mani I painted my nails with Fearne Lola Lavender (2 coats). I think this is a great quality polish. It’s almost a one-coater, and it dries quickly. The top coat I used is Models Own Jack Frost (1 coat). 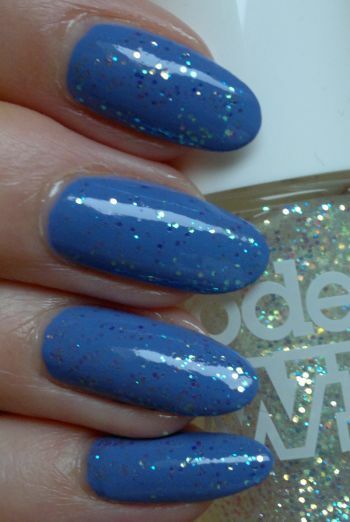 I found this beautiful holographic glitter polish at one of the Poundstores – what a bargain! It was impossible to capture this holographic beauty in a single photo – but in real life this top coat looks stunning. Do you like glitter polishes? What’s your favourite? Feel free to comment. And thanks for stopping by! For this simple mani I painted my nails with Orly Basket Case (2 coats). I love this polish. The colour is simply gorgeous, and the formula is just perfect. For the stamping bit I chose Pueen‘s 56 plate (which is part of Pueen‘s Stamping Buffet collection). This is one of a number of stamping plates that I’ve never used, even though it’s been in my stash for ages. The black polish I stamped with is a home-made “stamping” polish. I didn’t like the mani because I didn’t like the images. 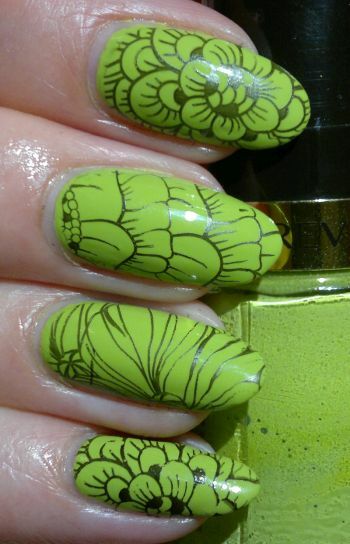 I might give this stamping plate another try, or I might just give it away.